More information to follow on redbull.co.za detailing the battle rules, full crew and event details as well as exclusive artist interviews. Follow Red Bull Culture Clash on Twitter @RedBullZA, Facebook @redbull, Instagram @redbullza and YouTube to stay ahead of the latest news and win exclusive Red Bull Culture Clash prizes. Join the conversation using #RedBullCultureClash. 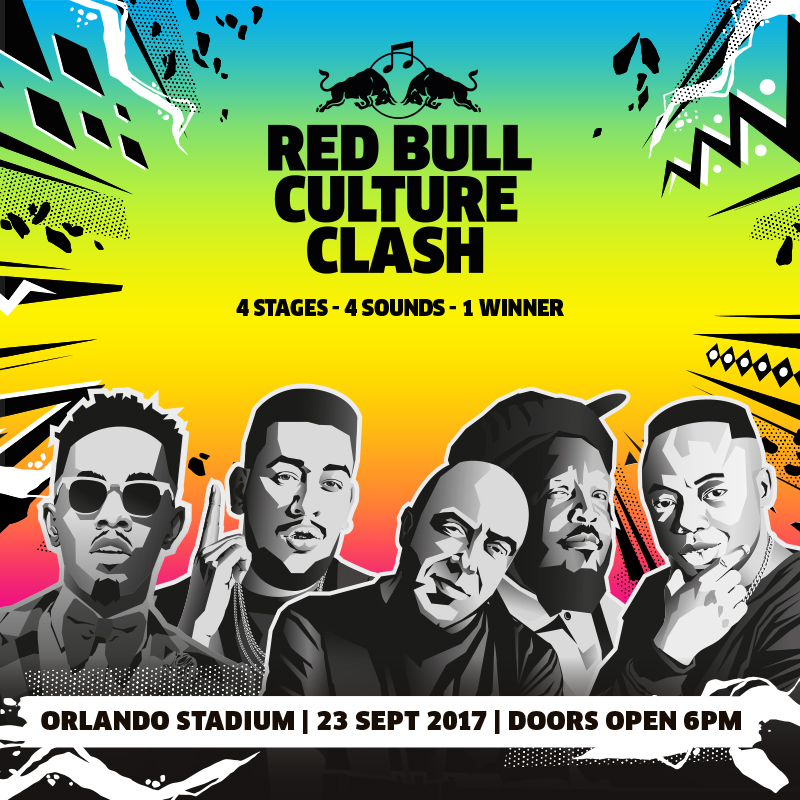 Be part of the action by getting your tickets for the Red Bull Culture Clash 2017 event from Computicket.